CRYC is a collaborative of mental health and early childhood agencies that promotes the social and emotional development and well being of young children, strengthens the capacity of all adults who care for them, and advocates for coordinated, aligned systems. All children are socially and emotionally competent and resilient. Caring adults support, build, and advocate for young children’s social and emotional well being. Systems and communities serving young children and families are high quality, aligned and coordinated. Children are a part of many communities: their family, their school, their neighborhood and the broader community. Children’s development must be supported in each of these spheres. Diversity of culture and experience within these spheres should be respected. Relationships are important. Strengthening adult-child and adult-adult relationships enhances the resources available to children that support development and resilience. The child-parent (as primary caregiver) relationship is key to children’s success. Parent-centered strategies and interactions contribute to children’s development and wellness. Interventions and approaches with children should be developmentally appropriate. Strengthening young children’s internal protective factors increases their overall resilience. Caregivers must be attuned to children’s behavioral messages in order to assist children in the development of initiative, attachment and self-regulation (key protective factors). Young children move from needing almost total support from their caregivers for their needs and feelings as infants (external) toward increasing ability to cope with their own feelings and meeting their own needs (internal) throughout their preschool years and beyond. 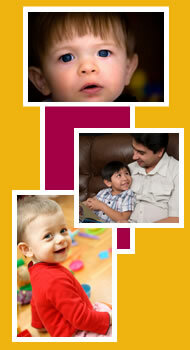 The behaviors of infants, toddlers and young children represent feelings. In order to be successful, children need to develop competencies in multiple developmental areas including social and emotional, physical, academic, and self care. The goal for all children is to optimize the development of intrinsic motivation. Children and adults fall on different points of the continuum from external to internal motivation. The goal of individualized services and interventions should be to meet them where they are based on their needs and strengths and move them along this continuum to achieve ever increasing levels of intrinsic motivation. The Core Philosophy guides the CRYC members in their interactions with one another and the execution of our work with our partners, funders and the community. Collaboration and coordination across systems, primarily early childhood and mental health, are the key underpinnings of the CRYC. We share knowledge, expertise and learnings with one another to create high quality services for children, families and professionals. We are committed to executing our work with integrity, respect and compassion and will be good stewards of our resources. We sustain excellence in our services by basing our practices in research and using evidence-based practices were applicable. We look for opportunities to develop innovative services based in our own data-driven and reflective practices. Our services are strength-based, flexible and incorporate multiple modalities. We advocate for resources and actions to achieve our Vision for the community. The CRYC received a grant from the US Department of Education under the Early Learning Opportunities Act (ELOA) in 2005. Success by 6 was the fiscal and lead agency. The ELOA project was the stepping-stone for the development of an integrated model of mental health and early childhood services delivered in child care environments. In 2006, the CRYC was awarded a three-year grant of $650,500 by the United Way of Greater Cincinnati. The Children’s Home is the fiscal and lead agency. The program, Promoting Resilient Children (PRC), started January 1, 2007. Through consultation, coaching and training services, PRC will increase the professional capacity of child care staff, thus enhancing children’s social and emotional development while providing mental health interventions for children birth to age five. This supports United Way’s Priority Outcome #1: Children enter kindergarten ready to succeed. Services will be offered to 25 centers and their staff as well as 1250 children ages 3 months to five years. The core of the program is the PRC Coach (ex. mental health specialist). In 2008, the CRYC was awarded a two-year grant by the Hamilton County Families and Children First Council and the Ohio Children’s Trust fund. 4C for Children is the fiscal and lead agency. CRYC agencies and Santa Maria Community Services are delivering the services. The program, Strengthening Families in Westwood and Cheviot is designed to prevent child abuse and neglect and build five key Protective Factors through the implementation of the Strengthening Families. Strengthening Families in Westwood and Cheviot has three program components: working with early childhood program and family child care providers, developing a community coalition to create a community-side strategic plan to prevent child abuse and neglect, and launching a community awareness campaign. In 2011, the CRYC was awarded a two-year grant from the Cincinnati/Northern Kentucky Social Innovation Fund. The Children’s Home of Cincinnati is the fiscal and lead agency. The Resilient Children Project has three goals: 1) to expand early childhood mental health consultation services in Cincinnati, Covington and Newport; 2) to conduct a rigorous evaluation of the project; and 3) to support the infrastructure of the Consortium for Resilient Young Children. In addition to grant-funded projects, the CRYC uses its resources to focus community attention on the importance of social emotional development in young children through advocacy, consultation, and information sharing. ©2014, Consortium for Resilient Young Children. All rights reserved.